Colourful wooden push puppet of Vincent van Gogh holding a brush. Press the button on the bottom and the figure starts to wiggle and dance. This nostalgic wooden push puppet toy will make a great collectible gift. 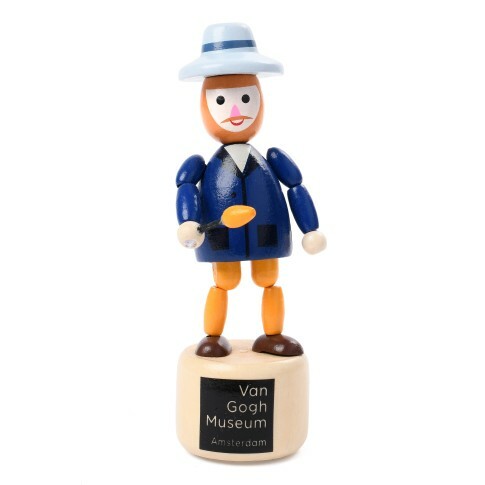 Unique wooden push puppet toy created by Van Gogh Museum Amsterdam.